I recently bought my son a cheap desktop (eMachines EL1852g) for his birthday. Now as a cheap computer i didn't expect much from it. 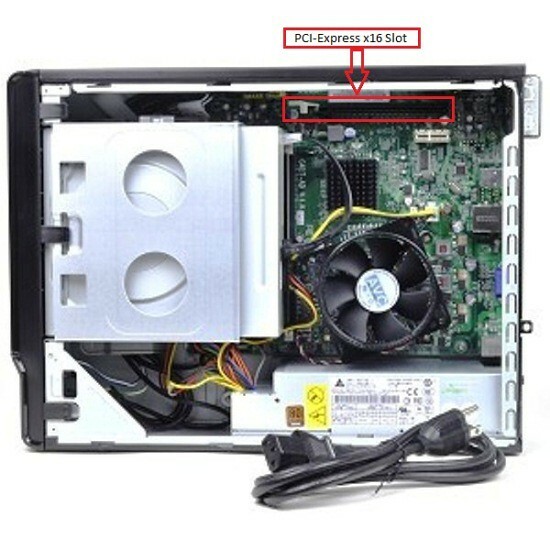 He uses it mostly for computer games but it is severally limited in that area due to low specs. I am coming to you to ask what upgrades i may be able to buy for his computer to help him expand his collection of usable games. space is very limited in this computer so i believe that will be the main setback. What games does he want to be able to play on it? He did not say any games specifically. I think he is mostly a fps game player. he has said that it is to slow to run any newer games. That old machine would be tough to get to play modern games. Since it is a slim form factor, finding a decent graphics card would be exceedingly dificult. Generally, these small cheap machines are designed for general use and productivity such as using MS Office, checking email and web surfing. They're not good for playing any games other than solitaire. I was well aware of this when i bought it. I am not asking how difficult it is, but how to go about getting it done. It doesn't need a top of the line graphics card, just something that will fit and work. Even if you could upgrade the graphics card on it it would be a waste of money. The remaining components would bottleneck the card and slow it down. The problem is that even if you upgrade the graphics card, the rest of the computer will slow down the graphics card to the point that it still won't be able to play very many games. First-Person Shooters require relatively high framerates to be playable, and I don't see any modern FPS game being playable on that machine no matter what graphics card you manage to fit in it (if you could find one to fit at all). I must agree with the others. Even if you left off the side cover, or modified the case in some way to accept an decent graphics card, the power supply would most likely be too inefficient to handle it. The system bus would slow it down. I don't see any way to upgrade that computer for even basic running of FPS games that wouldn't be a waste of money. The minimum required to build/buy even a basic gaming machine is about $700.00, and that's really low end, beginners quality. Thank you guys. you have been helpful. I guess he will have to wait and get a new pc. P.S. Would anybody be able to suggest a build(minus hard drive) that would be acceptable for a low price? somewhere around the $700 range? or should i just buy him one? If you have the technical expertise to assemble the computer yourself (which is relatively easy if you're careful), I always recommend that against buying a pre-built machine. A couple reasons being it's generally cheaper, you know exactly what parts are in your machine (which also helps later to diagnose potential problems), you are more able to upgrade components yourself in the future, and you can get exactly what you want. Also, pre-built machines often try to find ways to cut corners to maximize profits. Sometimes you will find low-quality power supplies, sub-par cases, etc. slapped in with high-quality "advertisable" parts (the parts people are looking for, processors, videocards, etc.) which can cause problems down the road. Be sure if you buy a pre-built machine to look at each part and make sure there's no low-quality fillers in there. And I'm certain we can come up with the best build(s) possible (with varying choices) for a $700ish budget for you. I'm a bit busy right now but if nobody else jumps in with suggestions I'll help you get started a bit later.